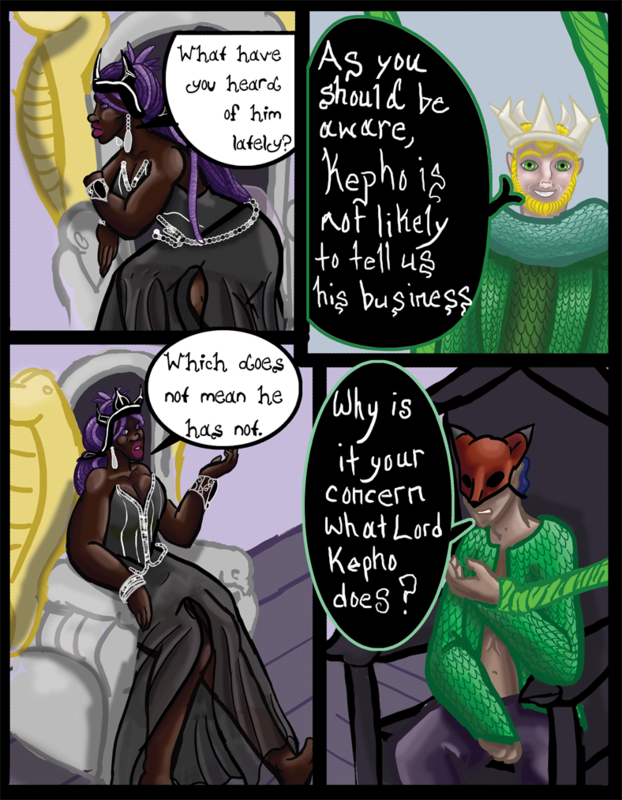 Chapter 05- Queen Nazmah - "Chapter 5 Page 12"
Queen Nazmah: What have you heard of him lately? King Atherr: As you should be aware, Kepho is not likely to tell us his business. Queen Nazmah: Which does not mean he has not. Masked: Why is it your concern what Lord Kepho does?